Marignane, 11 October 2018 – Airbus Helicopters will highlight a wide range of products and digital services at this year’s Helitech International air show, taking place October 16-18 in Amsterdam. 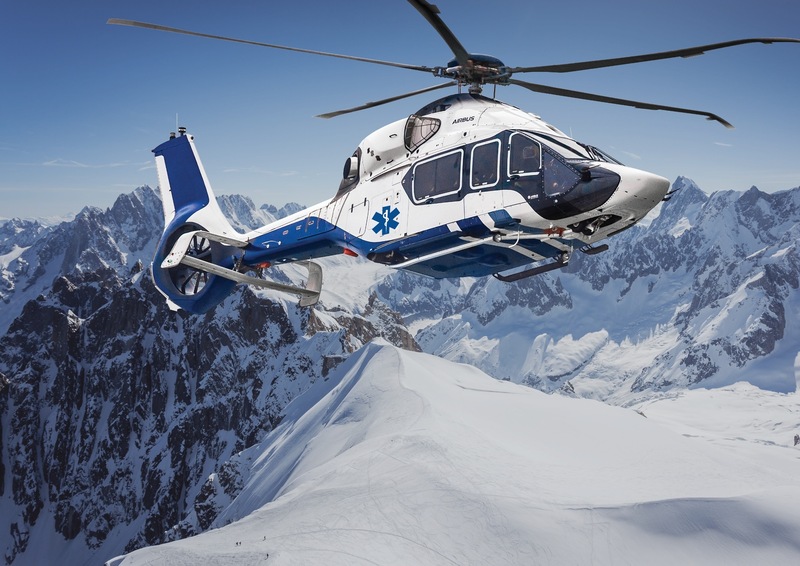 Special focus will be given to Emergency Medical Services (EMS) missions, a segment the company leads with 60% of the in-service fleet, thanks to its long expertise and wide range of dedicated solutions. On the stand (Hall 8, booth E60), will be an EMS-configured H145 in operation with Dutch operator ANWB. One of the company’s best sellers for such demanding missions thanks to its high performance and spacious cabin, this light twin helicopter is also extremely versatile and can quickly convert from EMS to other roles such as disaster relief or mountain rescue, thanks to its optional equipment and a plug-and-play design philosophy. Show goers will be able to take a close look at a full scale mock-up of the H160 fitted in an EMS configuration. With the largest cabin in its class, wide opening sliding door and roll-in stretcher capacity, the H160 is the next generation high intensive care helicopter ideal for long distances critical patient or incubator transport. In the static display, visitors will have the opportunity to see a H175 equipped for oil & gas missions and operated by Heli-Holland. With 29 H175s now in service, having accumulated 40,000 flight hours, this best-selling super-medium helicopter has been endorsed by 14 oil companies across the world and it’s setting new standards for offshore transport operations. The company will also present an update on Airbus’ Skywise offer for helicopters. Skywise is Airbus’ cloud-based open data platform, capable of storing vast amounts of data from airlines, helicopter operators, manufacturers and suppliers, and turning it into actionable intelligence that could reduce operational interruptions, increase safety, and better anticipate maintenance actions. A scale model of the Racer (Rapid And Cost-Efficient Rotorcraft) technology demonstrator, developed by Airbus Helicopters in the frame of the European Clean Sky 2 research programme, will be on display, highlighting the company’s commitment to prepare the future of vertical lift solutions. Don’t miss the opportunity to try out the interactive Racer virtual experience to learn more about the demonstrator performance and future mission capabilities.